The world is buzzing with the release of the new 3G iPhone so what better time than now to look at the best Christian iPhone offerings that can utilise the faster browsing. But there are also many other Christian iPhone websites that can help your walk with God or provide a bit of entertainment. Over the coming weeks free Christian resources will be reviewing the best Christian iPhone applications and summarizing them on the new iPhone page on this website. 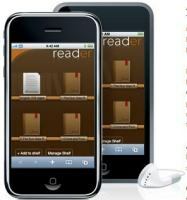 Reader is a staff pick at the apple website and allows you to read electronic books on your iPhone. It supports pdf, txt and doc formats so most books you have will be supported. Most books on the Christian Classics Ethereal Library are available in txt or pdf format so you can now read any of these on your iPhone! It has other useful features such as live bookmarking, text-size manipulation. Also if you do load your book onto your iPhone you can read it any time even if you are offline. News Feed Reader is another staff pick which lets you read any RSS feeds from your favorite Christian (or non Christian!) websites. It is optimized to full text feeds like an ebook. The autoscroll feature helps make reading long feeds easy. Perhaps the best feature is that once you open News Feed Reader is automatically keeps the articles offline (as long as you leave the application running) so that you can keep on reading no matter where you are. You can even keep up to date with posts here at free Christian resources by subscribing to our RSS feed! Podcaster 3 is a good looking application that lets you listen or watch to any podcast audio streams or videos. The beauty of the internet is the massive number of great sermons that are published free online. The podcast directory has over 7,000 podcasts already, but you can add any that you know or may find just by putting in the address. This application helps you do this with ease! Hey Everyone! Check out NRT Mobile application for iPhone or iPod Touch. 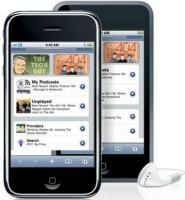 NRT Mobile from NewReleaseTuesday.com brings the largest and most up-to-date Christian music and entertainment database directly to your iPhone and/or iPod Touch giving you instant access to the latest information on your favorite Christian artists and music—all 100% FREE! Browse Christian Artists, Albums, Search tens of thousands of Christian music song lyrics and more! 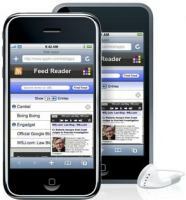 For more Christian Music iPhone and iPod Touch apps, visit http://www.christianmusiciphoneapps.com. You can go to the following link to download and try. It is free. “KidBible is interactive bible study software for you and your kids. We hope that every family may enter a world full of love and joy through KidBible. Every KidBible has a theme, supported by vivid pictures and simple sentences, which enable you to read bible stories, study the verses and pray together with your kids. If you wish, you may also take the challenge of doing a bible quiz. See what scores you and your kids can get. …. The first KidBible brings you “The Beginning of World”, a story of how God created everything, made human beings in his image and led them to manage the world. Description: The Morning Prayers, coffee with God Devotional is a 365 daily devotional with a Scripture and prayer. Most of us rush off into our day never once giving God a second thought until the moment arises when we need Him. Well, why not take a few minutes to read something that will inspire and encourage you through your day, and at the same time get your morning off to the right start. Fantastic, thanks for revealing this article submit.Actually thank you! Great. I got. What do you call it?.